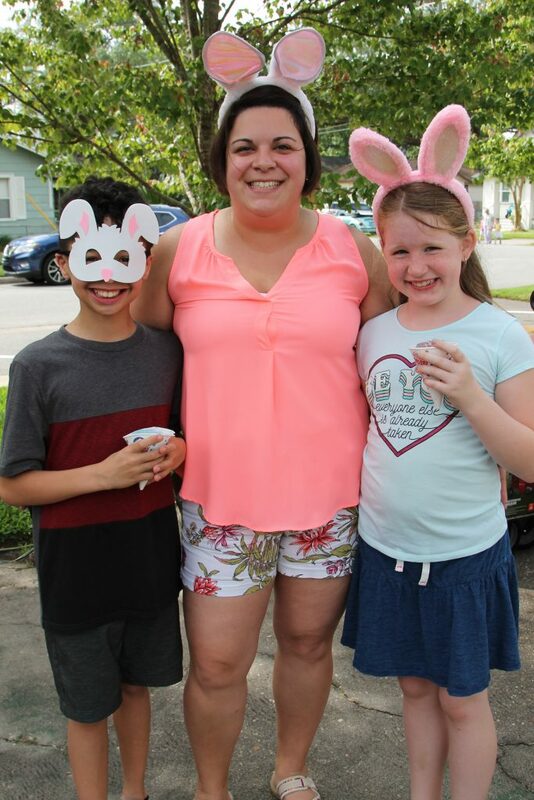 Easter Eggstravaganza at Holy Trinity Anglican Church April 13 - The Resident Community News Group, Inc. | The Resident Community News Group, Inc.
Children get ready to enter the Egg Patch during the first of several Easter egg hunts at Holy Trinity Anglican Church April 13. 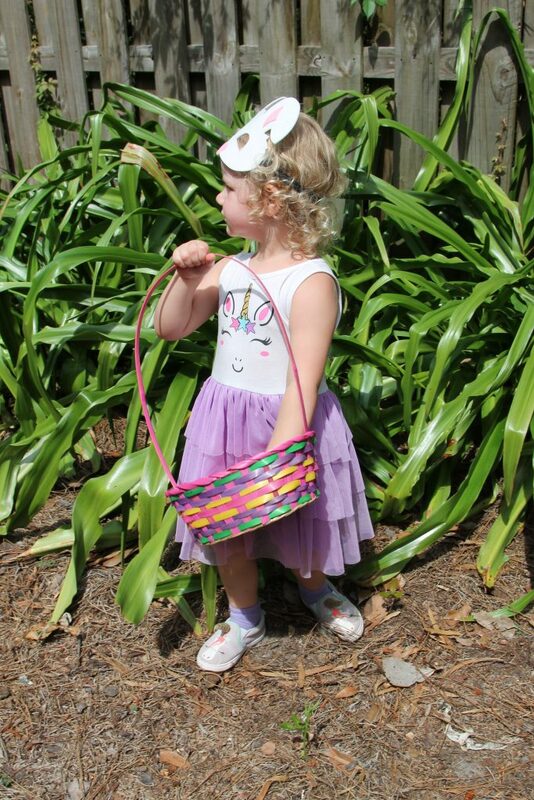 This little princess looks for eggs during the Easter Eggstravaganza at Holy Trinity Anglican Church in Avondale, April 13. 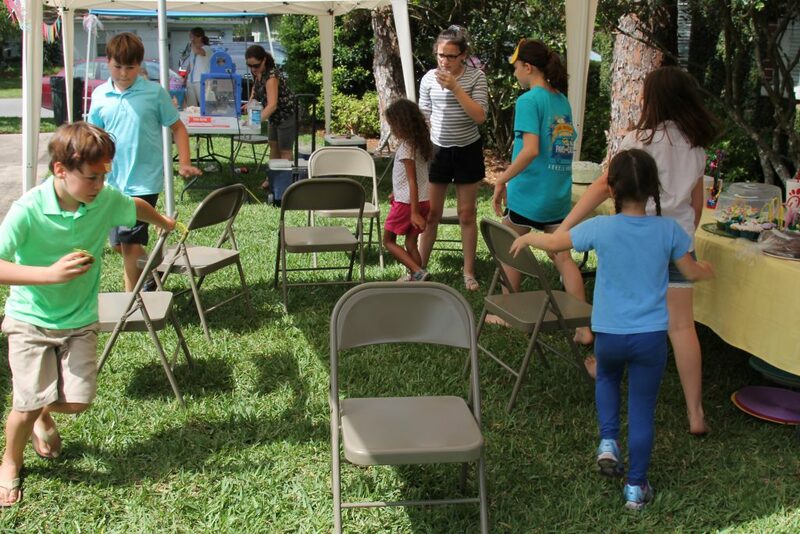 Children participate in a cake walk at Easter Eggstravaganza at Holy Trinity Anglican Church, April 13. 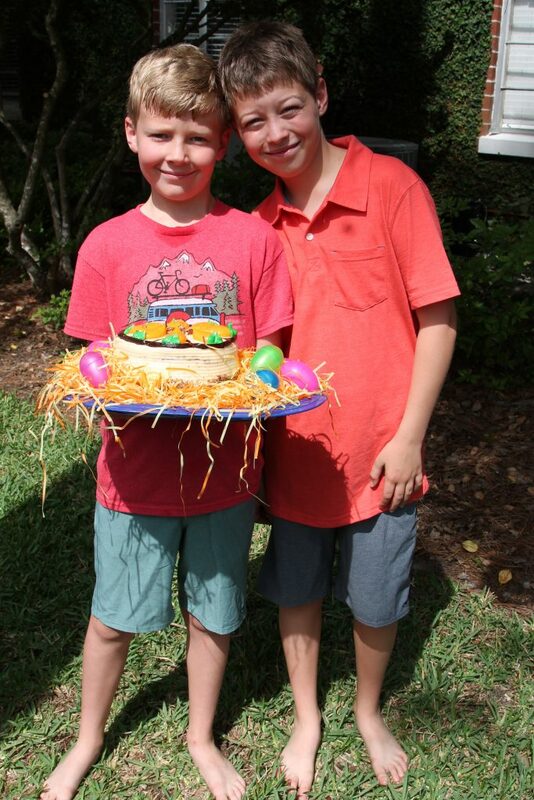 Nathan and William Allen with the cake Nathan won in the Easter Cake Walk at Holy Trinity Anglican Church April 13. 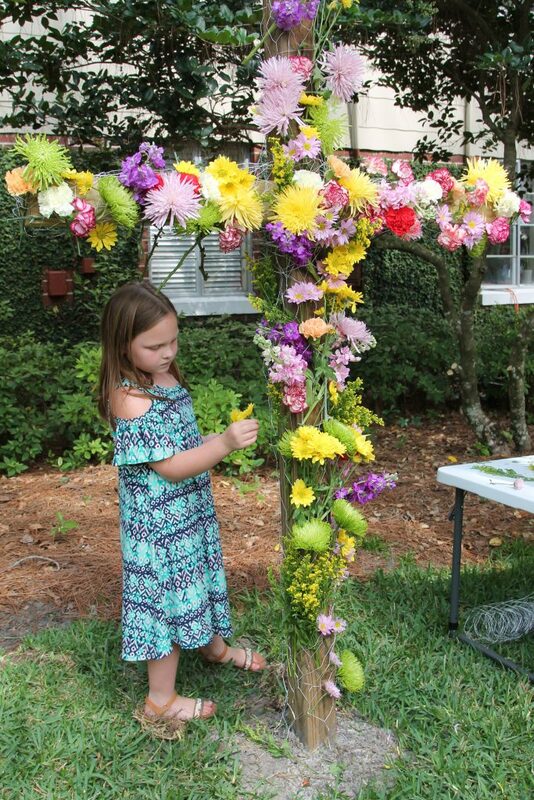 Kylie Harris adds a flower to the floral cross at Holy Trinity Anglican Church during Easter Eggstravaganza April 13. 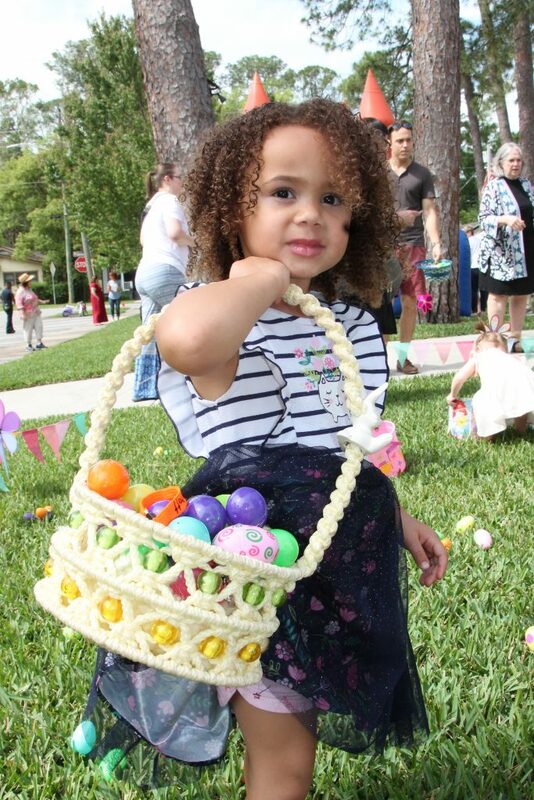 Jaina Cronedy holds a basket full of Easter eggs found during the Holy Trinity Anglican Church Easter Eggstravaganza April 13. 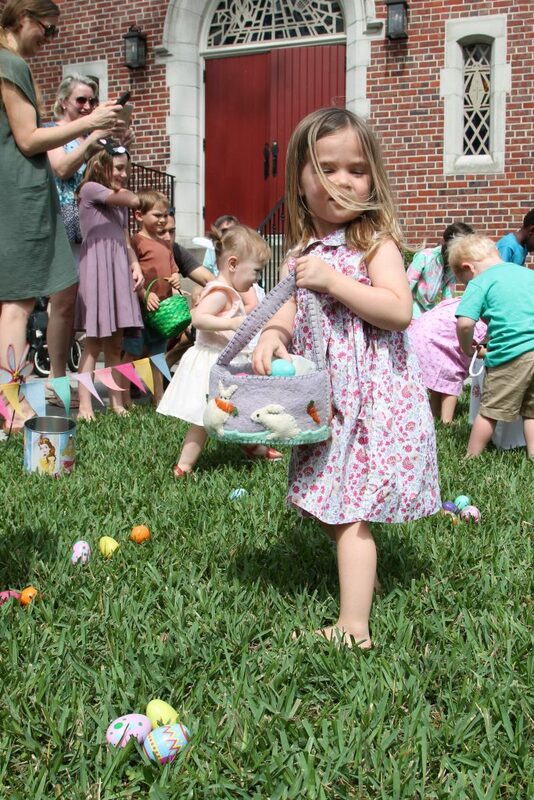 A little breeze captures this little girl’s hair as she fills her cute basket with eggs during Holy Trinity Anglican Church’s Easter Eggstravaganza April 13. 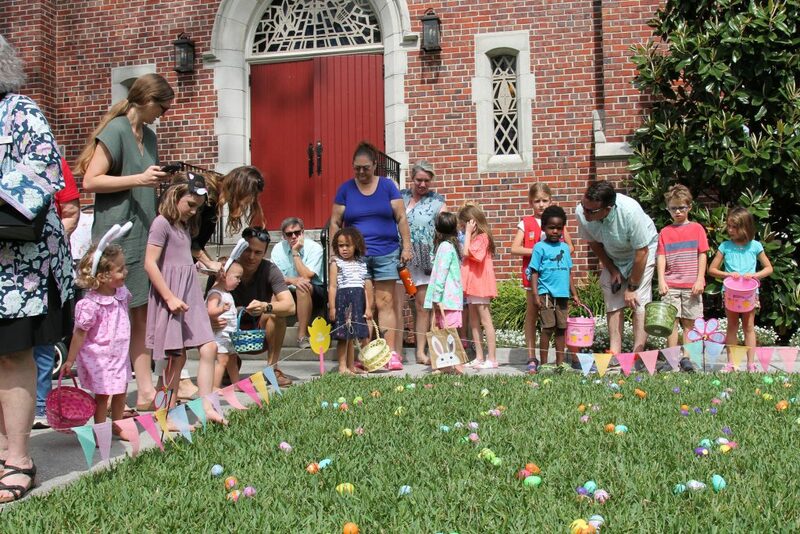 Sofia Terrebonne, Laura Terrebonne, Stephanie Estes and Payton Brown attended the Holy Trinity Anglican Church Easter Eggstravaganza April 13. 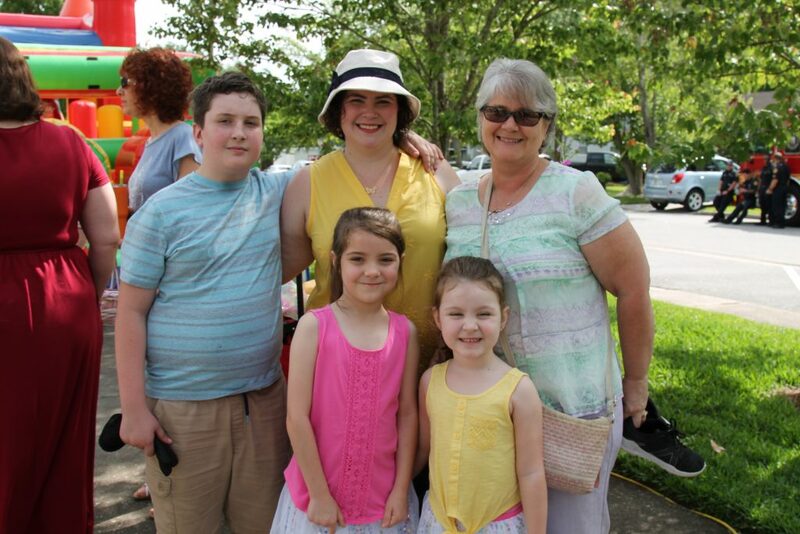 Remy Steward, Jennifer Griffis and Pam Faulk (back) with Gillian and Rosalie Faulk at the Easter Eggstravaganza April 13 at Holy Trinity Anglican Church in Avondale. 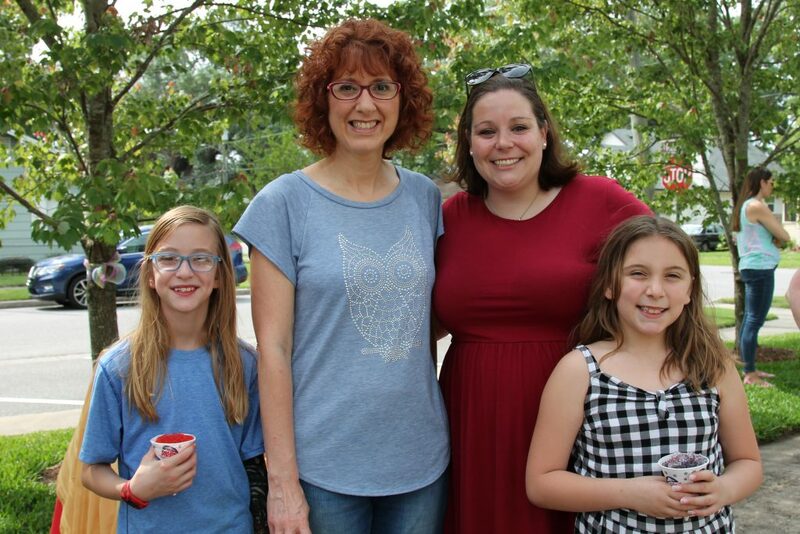 Austin, Sara and Madison Hadd, members of Holy Trinity Anglican Church, enjoy a beautiful Saturday morning at the Easter Eggstravaganza April 13. 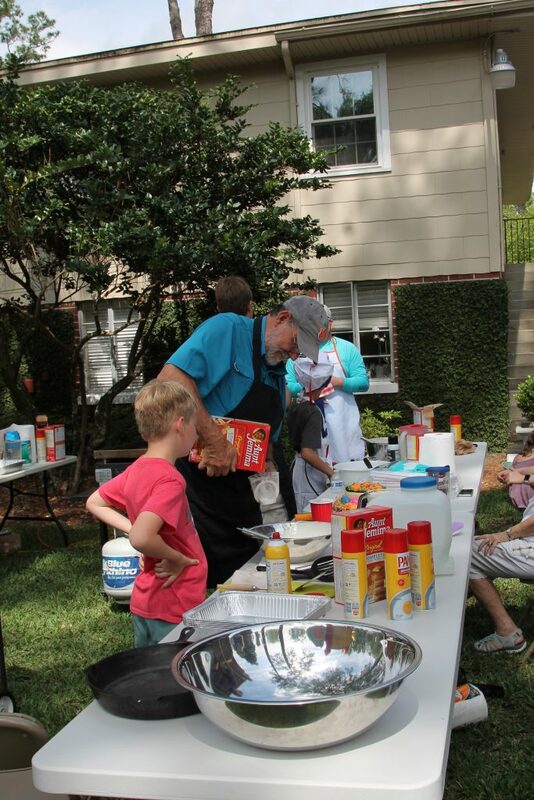 The Holy Trinity Anglican Church Men’s Club stirs up batter for the pancake brunch at the Easter Eggstravaganza April 13.